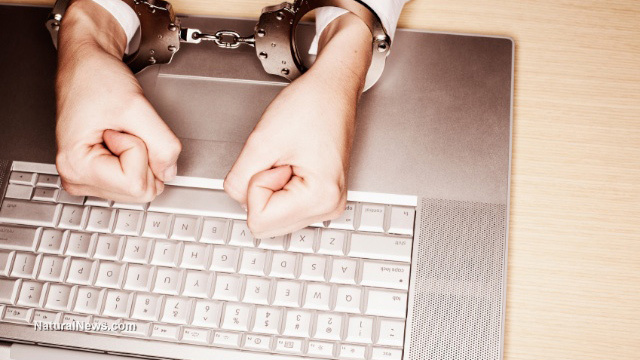 (Natural News) Censorship is the new black, at least on social media. Facebook, YouTube and Apple have taken aim at InfoWars and its founder, Alex Jones, in a seemingly shared effort to quash conservative voices. The trio of tech giants have already scrubbed content from the site and other channels related to Alex Jones from their networks. Of Jones’ five podcasts, four have already been removed by Apple — including The Alex Jones Show. Google has also removed the Alex Jones Channel, and Facebook has taken down four pages manned by Jones. Shapiro is not the first to take notice of the Left’s wishy-washy definitions, especially regarding hate speech. Mike Adams, the founder of Natural News and creator of Brighteon.com, has issued a statement on the censorship of Alex Jones. Adams contends that Apple, Facebook, Google and their ilk have been engaging in a coordinated racketeering effort to take out Jones and his network — and that “hate speech” is really nothing more than a tool used by the Left to silence conservative views.